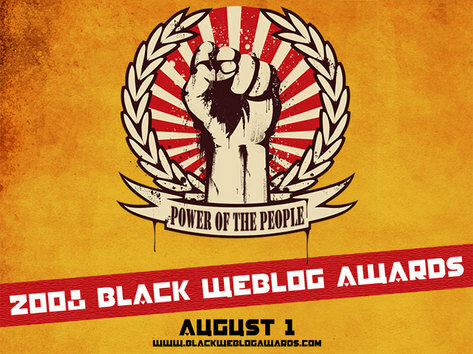 Ready, Set, Vote For SoulBounce at the Black Weblog Awards! 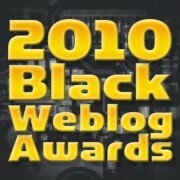 From the entire staff at SoulBounce, we would like like to thank everyone who nominated us for the 2008 Black Weblog Awards. We are pleased to announce that thanks to your votes we are finalists in two categories: Best Blog Design and Best Music Blog! We are so honored that our readers nominated us in these categories, but now is when we really need your support. We're up against some stiff comp in the Best Blog Design category, but like our fabulous designer Huny stated on Twitter last night, "its like Kanye vs 50, we can take down CL & YBF"! Our sentiments exactly. As far as the Best Music Blog category is concerned, we don't mean to brag and don't mean to boast, but frankly it's not a competition. If we don't take this accolade home, then I think we're all going to flip our wigs Kanye style. It won't be a pretty picture. 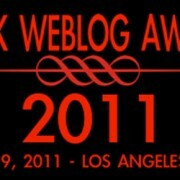 VOTE FOR SOULBOUNCE IN THE 2008 BLACK WEBLOG AWARDS! YES WE CAN! My vote is in! Go SOULBOUNCE! 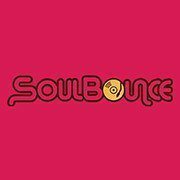 I just voted for soulbounce for the finalist categories! I personally had nominated soulbounce for blog of the year, but I am sure that of these categories, SB will win! the new layout design is fab and of course the music is always on point! Congrats; I will have to be honest this is one of the cleanest blog designs. Nice, sleek and clean. Well done! My blog was nominated for the best Faith-Based Blog "BigIsTheNewSmall"